The Mixed Media Exhibition showcases a group exhibition of 45 artists with a wide array of Mixed Media styles, from figurative to abstract. 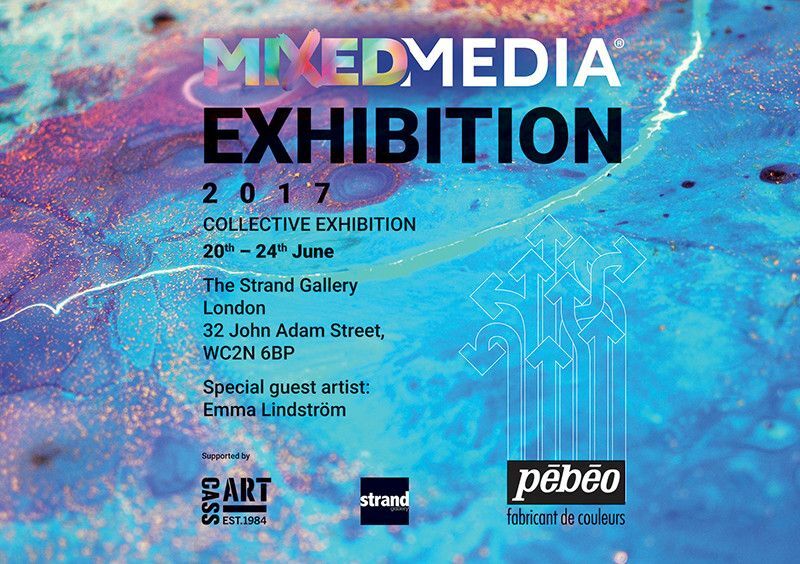 Pébéo is hosting it’s second Pebeo Mixed Media Art Prize & Exhibition in partnership with Cass Art. Almost 300 artists have submitted their work and 45 have been selected, showing an amazing array of styles, the very best of contemporary Mixed Media art. Every year we also invite a high profile international artist to exhibit alongside the contest winners, this year the Swedish artist Emma Lindström will be displaying two of her amazing artworks.